​Neuropathic (or nerve-related) pain can be a stubborn issue. We are understanding more and more why this might be the case, with new insights into how our nervous system (brain, spinal cord, nerves etc.) works. ​This gives us new ways of managing your chronic sciatica (pain from your sciatic nerve, which you can see on the right runs all the way down the back of your thigh and leg) or the 'pinched nerve' in your neck. 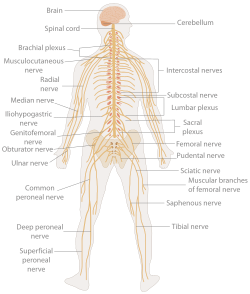 We now know that the nervous system is far more decentralised than previously thought, that is, it is not just the brain and spinal cord (known as the CNS, or central nervous system) that process all the information that comes in from the outlying nerves (PNS, or peripheral nervous system); but rather that large amounts of filtering and processing of information take place throughout the body. ​Much of the study of the nervous system has looked at the neurons, or nerve cells themselves. However, in all regions of the nervous system, there are at least as many glial cells as neurons, and in some regions, there are ten times more glial cells than neurons. It is also becoming clear that we should be thinking of it more as the neuroimmune system, as the cells of the nervous system are immunocompetent, that is, they play a role in the normal functioning of the immune response of the body. 'Glia' comes from the Ancient Greek for 'glue', which gives you a clue as to how (un)important we used to think these cells are. Neuron (bottom right), astrocyte (top left), microglia (red). Astrocytes and microglia are example of glial cells. It is now apparent that they play a much more vital (and complicated!) role in the nervous system than simply holding everything together. Various types of glia help to create new nerve cells, break down old ones, store energy, prune synapses (the connection between nerves and other cells), repair trauma, control blood flow, and act as the immune cells of the nervous system, while communicating with other types of cells. ​However, allow me to just note that the implications of this new way of thinking offer new understanding of how conditions such as carpal tunnel syndrome (when a nerve gets compressed in the wrist) and other 'pinched nerve' problems can seem to be 'mirrored' and happen on the opposite side of the body; as well as how people can suffer from what appear to be multiple unrelated problems in the body that are actually more to do with faulty processing of information than actual damage to tissues. 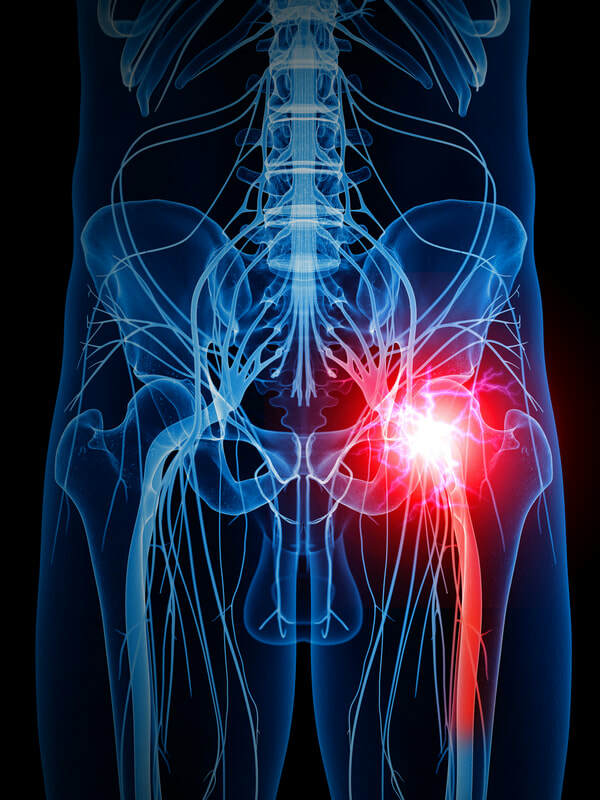 Do you suffer from sciatica or other nerve pain?